Explanation: This stunning color deep sky view toward the constellation Pisces was made with data from a fast, sensitive, digital detector known as the Big Throughput Camera operating at Cerro Tololo Inter-American Observatory in Chile. 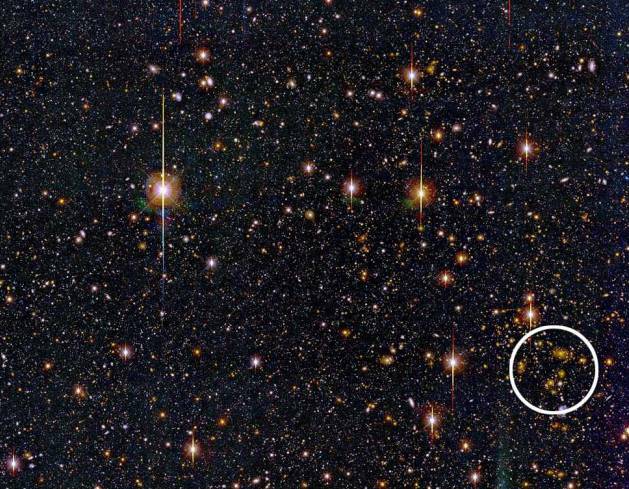 Hardly noticeable in the original picture is the small cluster of about 15 galaxies nearly 3 billion light-years distant, circled at the lower right. 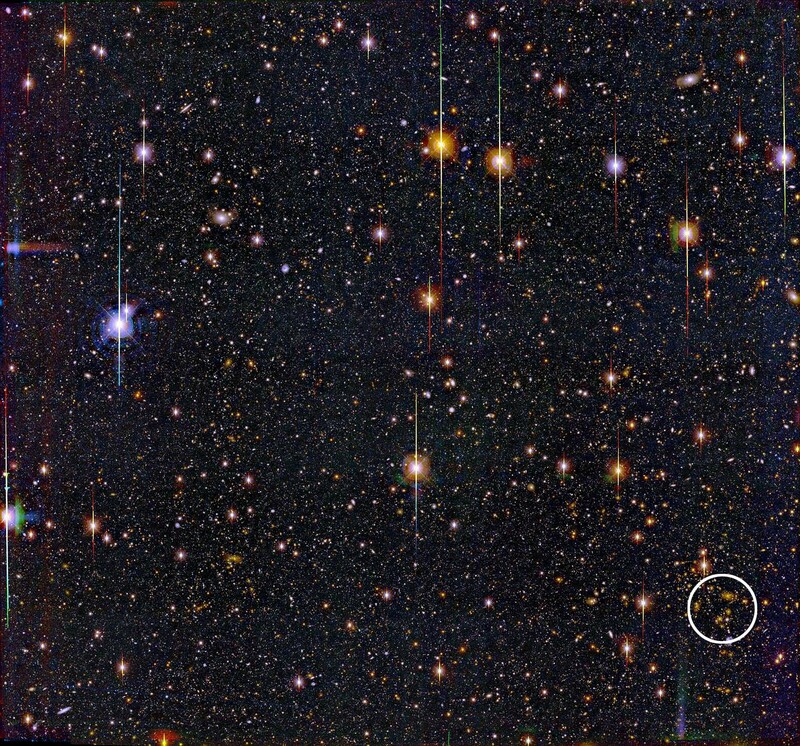 In fact, this distant cluster was not discovered by noticing its appearance in the image at all, but instead by mapping the subtle distortions created by its gravity. As predicted by Einstein's General Relativity theory, the cluster's gravitational mass acts like a lens, bending light and distorting the shape of background galaxies. The effect is known as gravitational lensing. Computer mapping of weak distortions of background galaxy shapes across the Big Throughput image revealed that the large scale distribution of mass in that part of the sky was concentrated in a small region. That region turned out to correspond to the galaxy cluster -- the first time such an object has been discovered on the basis of its mass properties rather than its light.